Electronic Data Interchange For Administration, Commerce, and Support (EDIFACT) is an international EDI standard that was originally developed by the United Nations. Aside from the US automotive industry, EDIFACT is used more frequently outside of the United States. Below are the common EDIFACT transaction sets and their respective functions. Provides confirmation that a purchase order will be fulfilled as requested. Communicates requested changes to an existing purchase order. Confirms the changes requested of an existing purchase order. Requests information regarding an existing purchase order. Provides information and status report of an existing purchase order. Provides information related to the planned schedule for an order or a commitment of materials from a supplier. Communicates instructions for a shipping schedule. Provides the same information found on a packing slip. Communicates shipping information in a protocol that meets government requirements and is often used by government agencies. Sends confirmation to the supplier that the shipment has been received. Allows suppliers to send inventory information to trading partners. Provides information to the receiving party about general product information updates, such as material being sent to a new location or a sales report of products being shipped to end customers from multiple locations. Replaces paper bills and invoices. 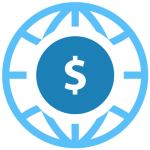 Provides information to initiate payments and communicates remittance information. Sends confirmation that an EDI transaction has been received. Allows recipient to accept, reject, or request changes to a previous transaction.